Brushed microfiber fabric is softer than most cotton and features a breathable weave. Wrinkle free, stain resistant, hypoallergenic, and resistant to dust mites. Fully elasticized fitted sheet guarantees a secure fit for mattress depths from 6"-18". 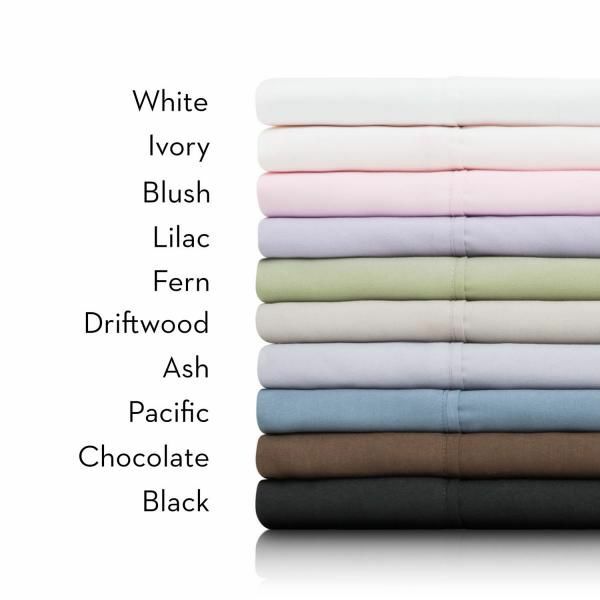 Easy care - machine wash, tumble dry 5-Piece sheet set includes king flat sheet, 2 TXL fitted sheet and two pillowcases.